We are very happy and proud to announce that we are opening up a physical store on May 19th. The brand new shopping arcade at Telliskivi Loomalinnak will be the location and opens to the public on the same day. 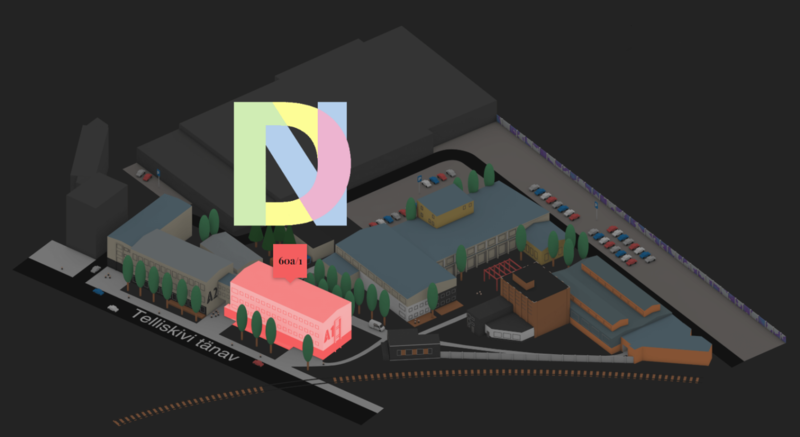 Designnut will be one of many new and exciting tenants in the newly refurbished A1 building in the trendy Telliskivi area. We hope you will join us on the opening weekend where all shops will have special offers and events. More on this will be announced shortly by us and by Telliskivi Loomalinnak. Ahead of the store opening we have been busy adding new products. We have already added about 100 new products to our website from well known and loved brands such as BloomingVille, OYOY Living Design and Maileg. We are thrilled to announce that we will also be carrying a wide range of products from Danish kids interior design brand Sebra Interiør. The product range will be revealed in full in the coming days in our new webshop, but we can already announce that we will have the award-winning baby-to-junior Sebra Bed on display and in stock for immediate delivery. Designnut is the only reseller in Estonia to have The Sebra Bed in stock at the time of writing. The Sebra Bed’s unique selling point is that it, along with the accompanying mattress, can be transformed and extended from a baby cot to a trendy child and then junior bed. The Sebra Bed suits kids from birth up until the age of about 10 years old.